First, HAPPY NEW YEARS EVE! Not that you’re reading this on NYE, but I’m scheduling it to post on New Years Eve 😀 So YAY! I hope you’ve all had fun holidays and time spent with friends and family! I know I have and am exhausted but so glad to have the time with my family. My Aunt had twins in September and I met them in Oct, but got to spend more time with them over the holidays! I flew two hours just to drive five more hours, but at least the drive was beautiful. As was the image I woke up to. Spending Christmas in the mountains is definitely worth the ridiculous travelling. Second, as with last year I just want to thank all of you that read and interact with me on my little spot of the internet. Those of you that blog with me are amazing and make life difficult by talking about all of these amazing books that I want to read. I can’t believe I’ve stuck with this blog as long as I have, but you all definitely make it worth it for me! I can’t wait to see what 2014 brings! After twelve months I can finally say I’ve finished ALL of my challenge reads for the year (plus a few extra)!! Overall Progress: 6 Books + 2 Double Counted for 8 Total! I signed up for the Berry Tea Devotee level and ended at the Sencha Connoisseur level. 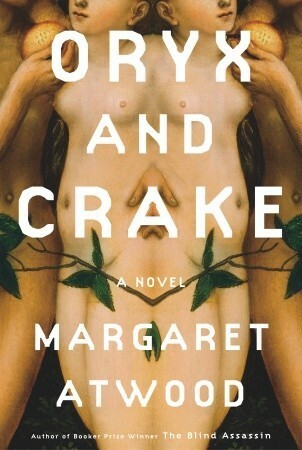 Oryx and Crake, Margaret Atwood – This was quite possibly one of the most terrifying, and yet fascinating, books I have ever read. The trilogy (The Year of the Flood and MaddAddam) was fascinating and I couldn’t put them down. This novel renewed my love for Ms. Atwood and speculative fiction. Knowing that her worlds are just beyond our current days is so far beyond eerie I can’t even begin to explain the terror I felt. I’m looking forward to reading more Atwood in 2014. 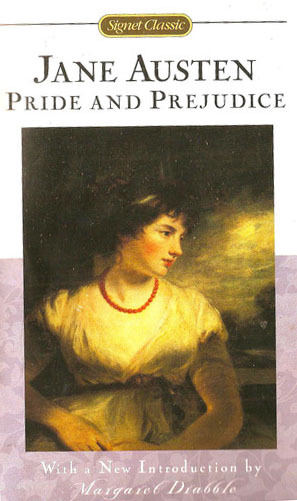 Pride and Prejudice, Jane Austen – It was a tough choice between this and Wuthering Heights but my ridiculous fan-boy post for this novel and the fact that I read it twice really put it ahead. What is there to say that hasn’t been said about Elizabeth and Darcy? Every time I read it I find something more to fall in love with. I will of course read at least one Austen next year in my re-read of her works for the Classics Club. Not to mention my copy has one of the best typos of all time, “Darby”, instead of Darcy. For shame Signet…for shame. Two Boys Kissing, David Levithan – This is the book that kept me in tears and I referred to it as the book I’ve always wanted to write and that I don’t have to write now. The Greek Chorus of all gay men that came before was so far beyond my comprehension that I was constantly in tears on public transit and stretched out what I could’ve read in a day over a period of weeks. I didn’t want it to end and was emotionally exhausted when it did. Although I read a lot of great LGBT Young Adult fiction, Two Boys Kissing was by far the best,but was closely followed by Andrew Smith’s Winger so check it out too! 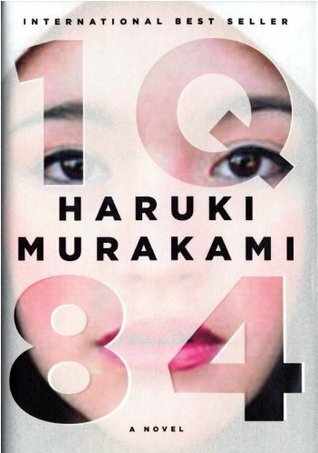 1Q84, Haruki Murakami – Even though I read this book in February it stuck with me the entire year. This is by far one of the most creative and original books I’ve ever read. It completely and totally warped my mind and stayed with what little I know of Murakami. I think what stood out most for me was his use of music and the merging of multiple genres. Trying to figure out what was real and what wasn’t real was impossible, but I’m definitely considering a re-read it was so good. Murakami is definitely an author I need to read more of. I have The Wind-up Bird Chronicle on my bookshelf. 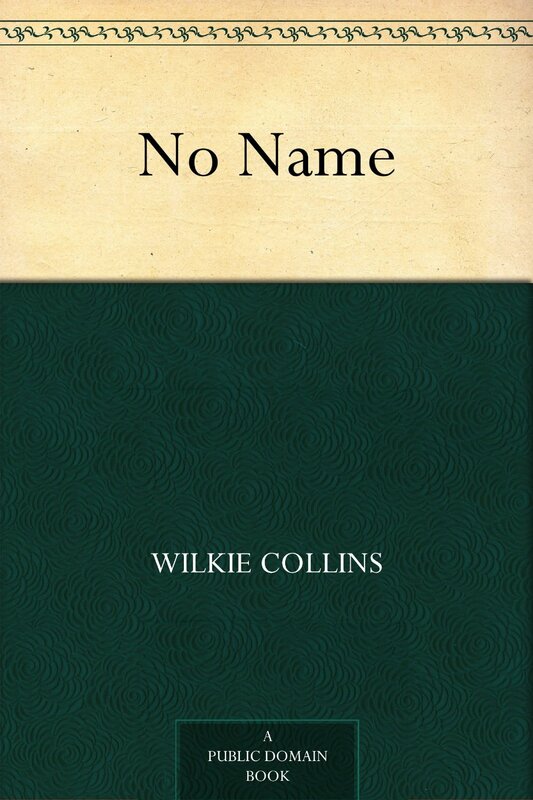 No Name, Wilkie Collins – Quite possibly the toughest decision, but this narrowly surpassed Tolstoy’s War and Peace (shocking this gets a mention right?!) as my favorite classic I read this year. I read 14 classics on my Classics Club list and probably a few more not on the list and this one stood out for me. For an author who published under Dickens and wrote at the same time Collins showed a mastery I felt Dickens didn’t. I constantly wanted to know what was next and loved the strong female protagonists! As I’ve stated elsewhere, I have no plans to participate in 2014 reading challenges. I may tack on to the Mount TBR challenge (and fully plan on keeping track of books I read that I’ve owned for ages), but in general I’m looking forward to a year of reading what I want when I want. I’m sticking with the Classics Club and slowly working my way through it and am continuing to enjoy the kookiness that is the local library’s books-into-movies book group! I hope you all have a healthy, happy and literary 2014! Happy New Year and congratulations on finishing all of your challenges! That’s great! Thanks! And of course, hope you have a wonderful New Years! Happy New Year! Congrats on a great year! Thanks! Hope you have a great 2014! Thanks Danielle. Not looking forward to the weather in Boston. Getting on a flight momentarily. But then again, YAY snow!!! Ugh I know! Safe travels!! Congrats on finishing all of your challenges! That’s awesome! Also 83 books–wow! I completely understand the relief you must feel at having a (mostly) challenge free year ahead of you–I’ll think about that for next year. I think I’m going to give 1Q84 a go this year. I avoided it last year because it was so long, but I really want to read it this year. Thanks! And you should definitely read it, it’s split into three distinct books so you can space it out if you want. somer versions are even printed in three books and not just the one big volume. I loved 1Q84 too! And while I don’t physically have any more of Murakami’s books in my TBR pile, I would love to read something else by him in the coming year. Nice job rocking those challenges this year! I’m not doing a summary post because I’ve just done too bad a job keeping track. Perhaps this coming year, I’ll adopt your idea of doing monthly wrap-ups so I stay on top of things better 🙂 Happy new year! Definitely! I’ve got one more by him I will definitely read. Seems I’m reading one a year by him which is good. Congratulations on all your challenges and Happy New Year to you! Thanks! They were both great books. Happy New Year. War and Peace beat Wilkie. Can’t believe it! Tssk tssk! Other way around 😀 But W&P was REALLY close to beating Wilkie! If there would’ve been less War and more Peace it would have. Whew. Even though I failed the reading test, I am relieved that you stayed true to Wilkie.